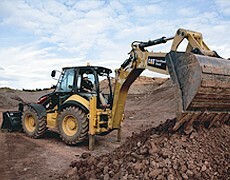 View our range of New, Used and Rental heavy machinery, construction equipment, material handling equipment, work tools and power generators for both Cat and other market leading brands. When you are purchasing or renting equipment from a machinery trader you want to make sure that the name can be trusted. 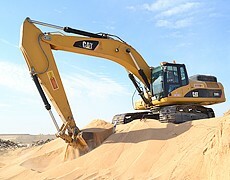 And in this region, you cannot find a name as trusted as Al-Bahar – the official Cat Machinery Dealer in the Middle East. That’s because with years of experience in the region we understand when you start work, problems like engine malfunction and the reliability of the machines or tools should not undermine the outcome of the job. At Al-Bahar we make sure you have the very best quality and reliability when it comes to construction equipment, heavy machinery, power generators and work tools so you can enjoy the assurance that comes with Al-Bahar. Please browse through our New, Used and Rental products below or alternatively fill in our contact form and we will get back to you as soon as possible. 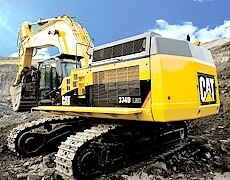 Mohamed Abdulrahman Al-Bahar represent Caterpillar® in Bahrain, Kuwait, Qatar, UAE and Oman. Select an option below to get more details.